Getting the right nutrition is important for growing children, but it can be a struggle if your child is a fussy eater. From shaking their head and throwing food on the floor to learning the word ‘no’, a young child will have no problem letting you know if they don’t like what you serve them for dinner! 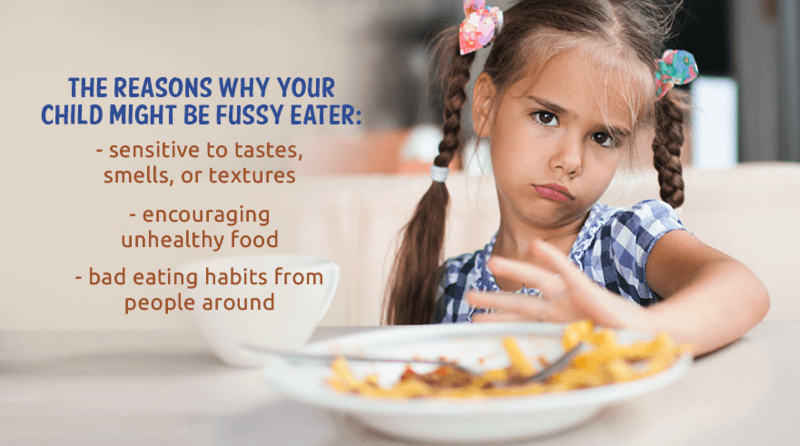 Of course, as you continue to expand your child’s menu with new tastes and textures, it’s normal for them to show a dislike for certain foods. Issues can arise when they’re saying ‘no’ more than they say ‘yes’, and getting enough healthy foods into them becomes a difficult task. Don’t let mealtimes become a battleground. Forcing a child to eat is never a good idea and could be counterproductive in causing even more issues with food. Taking a relaxed, fun approach to mealtimes, with plenty of praise, is more likely to encourage your child to try new foods and eat more of what is on their plate. Fruit and vegetables are full of nutrients including essential vitamins, minerals and fibre (keep the skin on where possible to maximise the fibre content). Luckily, these foods come in a range of bright, vibrant colours that will look appealing to your child on the plate. Offer a rainbow of fruit and veg daily – you could even present the foods in a rainbow shape with a pot of dipping yogurt at the end! Sugary snacks such as biscuits, cakes, chocolate and sweets will fill your child up while offering very little or no nutritional value. Avoid these and offer naturally sweet snacks like fresh fruit and dried fruit instead. Strong tasting or smelling foods such as fish can be off-putting for a child. However, oily fish contains essential omega 3 and 6 fatty acids (LCPs). One good trick is to 'dilute' the taste of fish by serving it with plenty of bland foods. For example, salmon and potato fishcakes, a fish pie topped with mashed potato or a tuna pasta bake. If your child is over two, choosing whole-grain options is a good approach. Swap white bread, rice and pasta for whole-grain varieties to increase their fibre intake easily. (Whole-grain foods aren’t advised for children under 2 years old as they are very filling). Children learn by example, so the very best way to encourage your child to eat well is to let them see you eating well. When possible, sit down as a family and make mealtimes a happy event. Let your child see you enjoying a variety of healthy foods and they should be encouraged to do the same. Older siblings can play an important role in setting a good example for younger siblings too – a 'big brother or sister job' that should lead to healthier eating habits for the whole family. If your child is fussy they may go through a phase where they'll only happily eat one or two kinds of food. For example, they might like to eat sandwiches, cereal or pasta for every meal. As tempting as it is to just give them whatever you know they'll eat, try to continue to offer a variety of foods from the four main food groups, even if you know they're unlikely to get eaten. It can take several attempts for a child to accept that they like a new food, so don't give up! What are the four main food groups? Immunity boosting foods are especially important for growing children – particularly when they start coming into contact with more people at nursery or pre-school. Offer foods that contain immunity boosting LCPs and Prebiotics to help your little one fight illness. Drinks also form an important part of any balanced diet, so think about what your child is drinking in a day. From the age of one, you can offer healthy drinks like water, milk, coconut milk, and diluted fresh fruit juices, but be careful that your child isn't filling up on drinks. 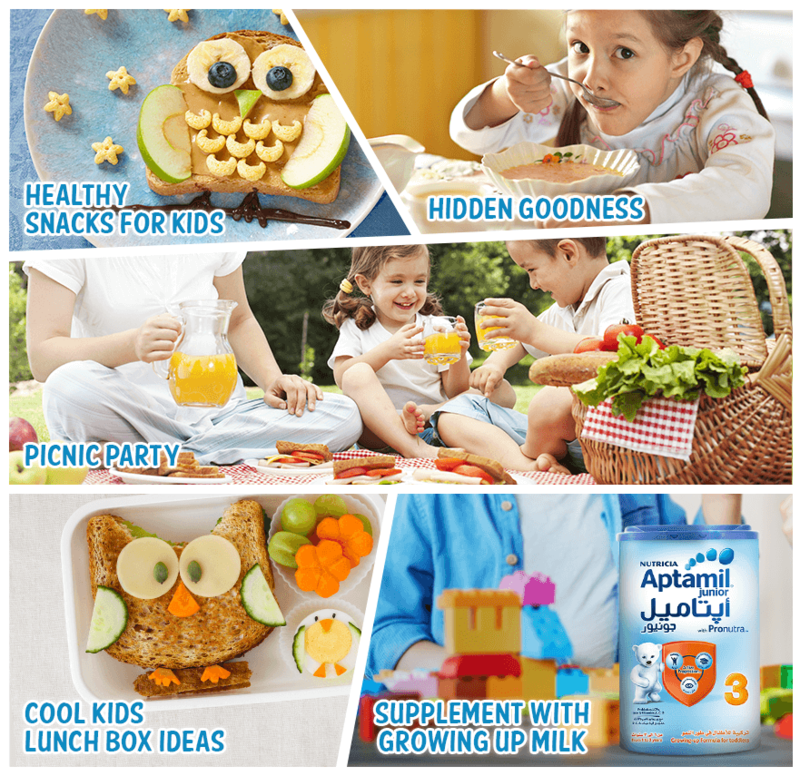 Growing-up milks like Aptamil Junior 3 are a good idea for fussy eaters as they'll give you the peace of mind that your child is getting all the nutrition they need, even if they haven't eaten well that day. 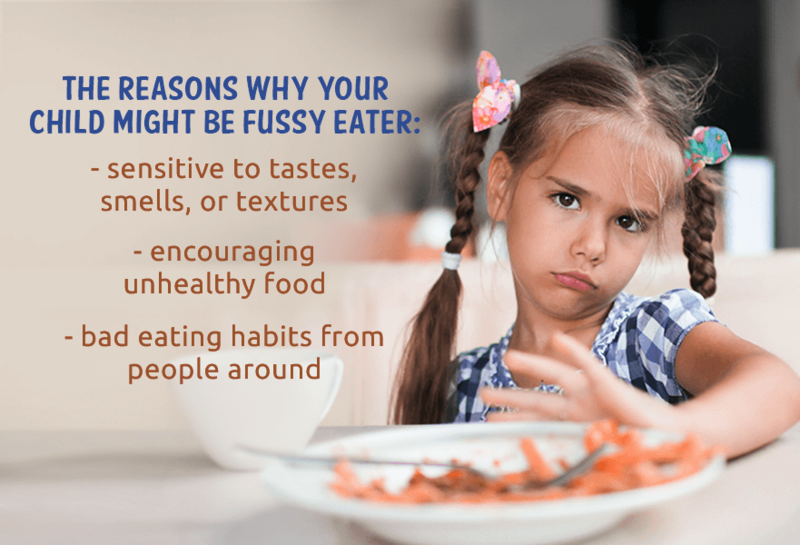 Of course, often there doesn’t seem to be a reason – some children are just picky eaters! You should never give up on structured mealtimes, but offering healthy and nutritious snacks in-between can give you extra peace of mind. Homemade muffins and oat bars full of nuts and fruit can tempt even the fussiest eaters. You could also try baking thin slices of sweet potato, parsnip, beetroot and carrot to make healthy homemade ‘crisps’ that the whole family will love. Once you understand how to eat healthy at home, you can ensure that your child is also eating well outside of the home – at their nursery or with grandparents, for example. 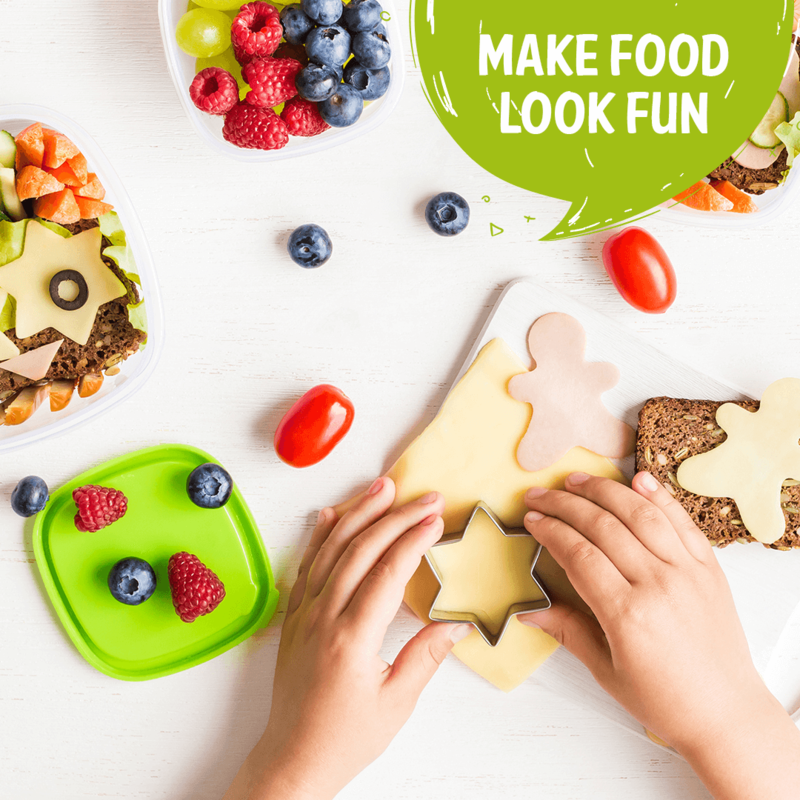 Fill your child’s lunchbox with fun finger foods and healthy dips, shaped sandwiches, colourful fruit pots full of sliced fruits and berries, and little treats like raisins or homemade oat balls. Some children simply hate sitting at a table, so why not consider spreading a blanket out on the floor or the grass outside for a fun picnic lunch? 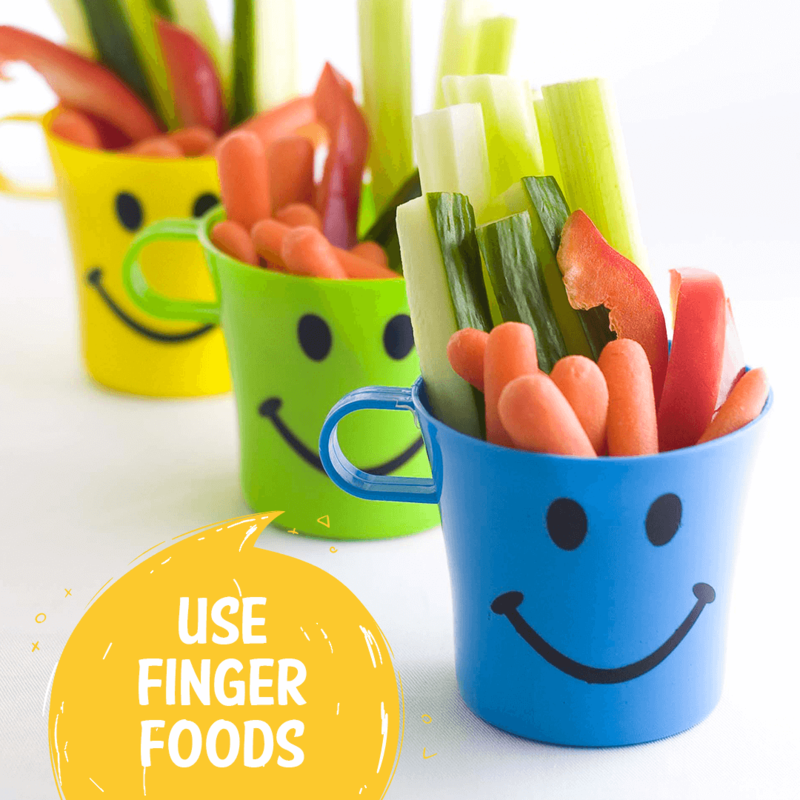 Pack up plenty of finger foods and you could even take your lunch to the park or beach. Sometimes parents have to be a little bit sneaky to get their child to eat vegetables. Try hiding vegetables in ragus, stews, soups or tagines to get extra goodness into your fussy eater – you could even blend the vegetables down to make them completely invisible! Two cups of a growing-up milk like Aptamil Junior 3 a day will ensure that your fussy 1-3 year old will get all the nutrition that they need – even if they’re not eating very much at mealtimes. Spaghetti makes a great ‘bird’s nest’ – add meatball ‘eggs’! What your child eats from can play a big part in making mealtimes fun. 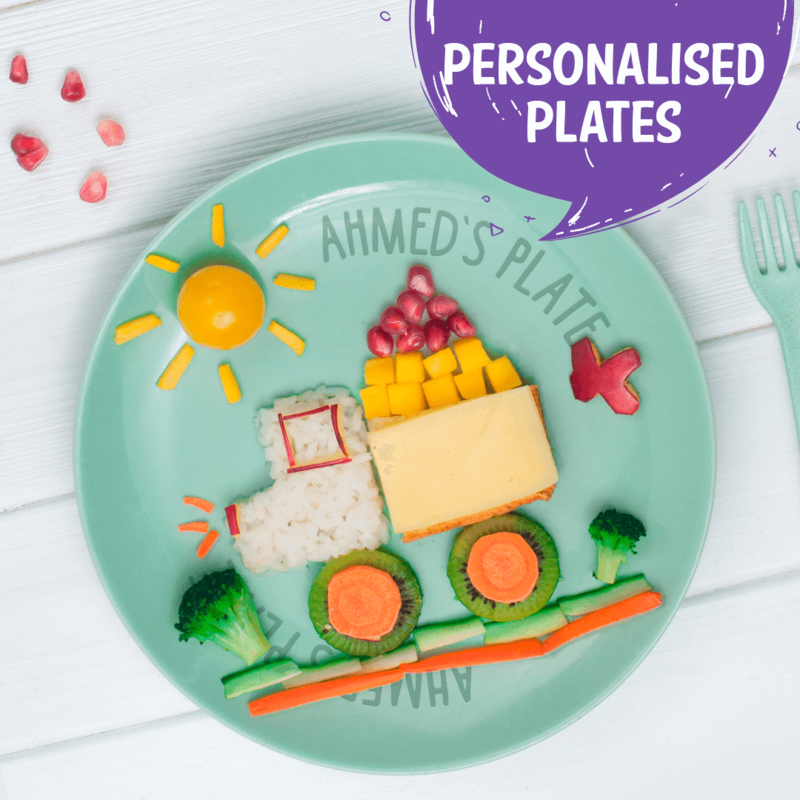 Invest in a personalised plate, tablewear featuring their favourite TV characters or a bright set of bowls to capture their interest. 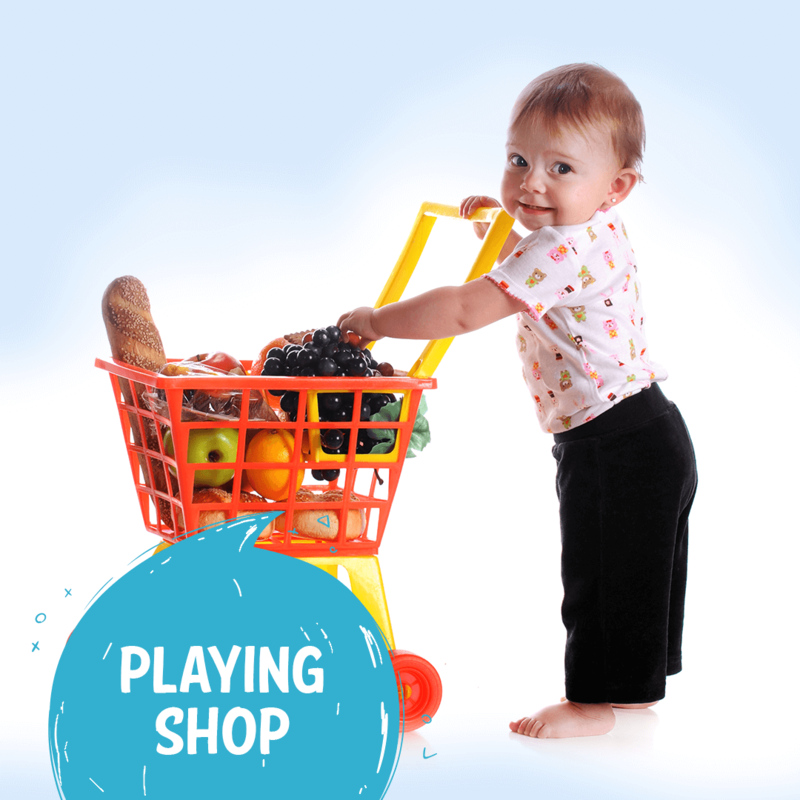 ‘Playing shops’ can be great fun for children, and it can also have the added bonus of getting them excited about food. Take your child shopping and get them involved in choosing the best fruit and veg, finding fun, healthy snacks for kids or paying the cashier at the till. You could also treat them to a toy food shop or food set to play with at home. 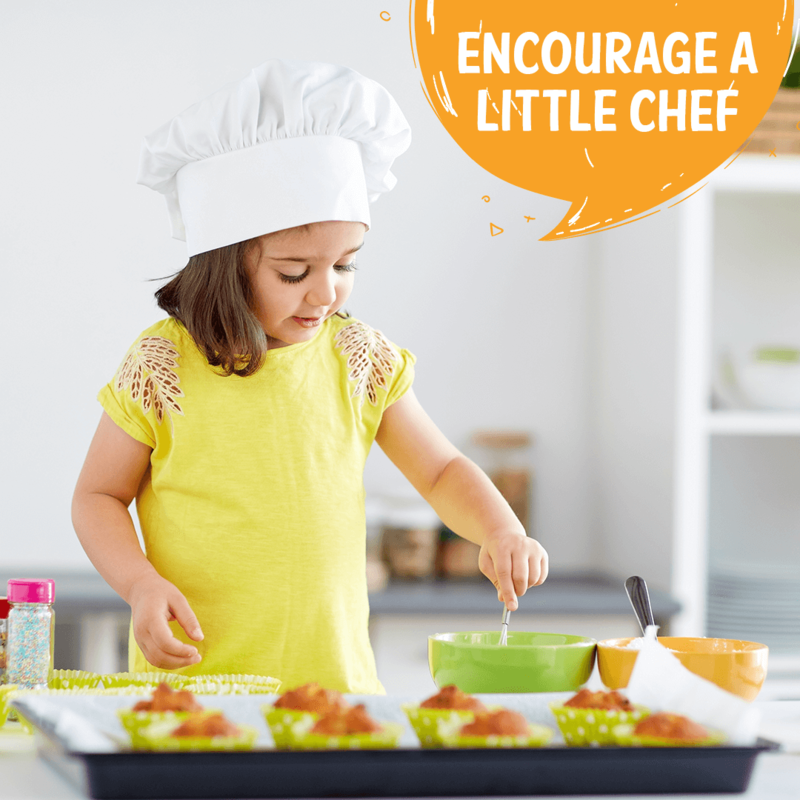 You could get your child involved in the cooking – there are lots of fun recipes for kids that you could try making together. Let them help to shape things like homemade burgers, meatballs, fishcakes or patties, get them stirring and mixing, or let them help to put the food onto the plates.